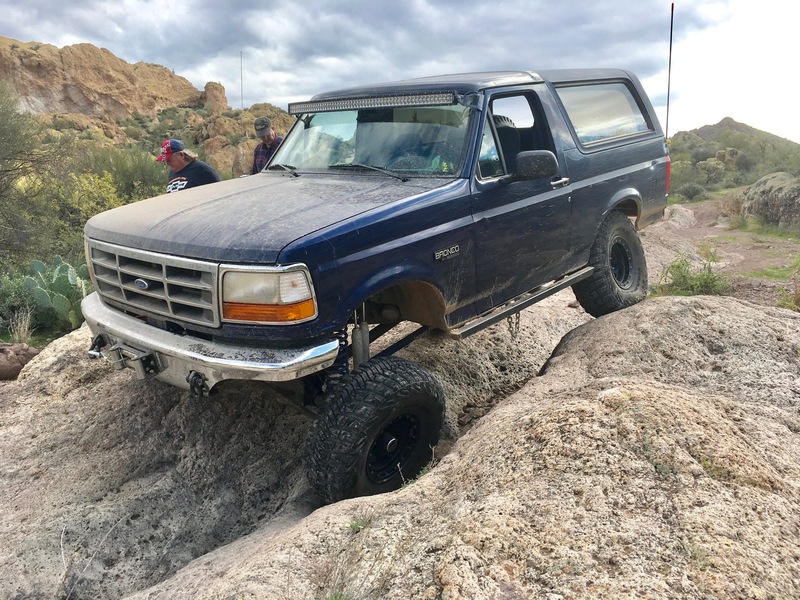 Ford Bronco Forum > Welcome > F.O.T.M Voting > FSB of the Month Winners > Congrats to 95 Bronco Wyatt your FOTM winner for September 2018!!! BikerPepe`, miesk5, anaconda and 5 others like this. 95 Bronco Wyatt likes this. Nice run and you sure have a badass rig! It is a sweet rig congratulations! JGR and 95 Bronco Wyatt like this. itwasFREE!!! !, JGR, SRWillis and 1 others like this. itwasFREE!!! !, Alwaysdirty and 95 Bronco Wyatt like this. Congrats @95 Bronco Wyatt You have a mighty fine Bronco and put on a great show! @95 Bronco Wyatt You did a great presentation. I hope we will be able to wheel together since we are in the same neck of the woods sort of speak. It would be great if we could caravan to MOAB together. itwasFREE!!! !, _CJ and Alwaysdirty like this.